In concept, a commuter tax seems viable because it presumably affects non-Chicago residents. However, such a tax also has a few downsides. Specifically, corporations would think twice about where they are located or headquartered with a commuter tax. If they know a significant portion of their workforce commutes, the tax could be a disincentive for a company to locate in Chicago. It may opt instead to locate in a surrounding suburb, thereby hurting our economy in the long run. Moreover, job statistics in Chicago show that residents in Chicago’s neighborhoods (outside of the urban core) are not getting access to new jobs created in the city. Many of those residents are lower income and commute out of the city for work. Opening the door for other municipalities to respond with their own commuter tax only hurts those who have been most harmed by the city’s failure to create a vibrant economy for all of its residents. As a general rule, you want taxes to be neutral – otherwise, it may run afoul of constitutional issues and also puts the city at a competitive disadvantage with other municipalities. The tax also implies that commuters don’t contribute to our economy, when in fact they still shop at local businesses, use parking meters and garages, eat in local restaurants, etc. An additional tax may create stronger incentives for commuters to aggressively look for work that is closer and more convenient. a move that would generate much more revenue and would avoid the logistical implementation headaches of a commuter tax. 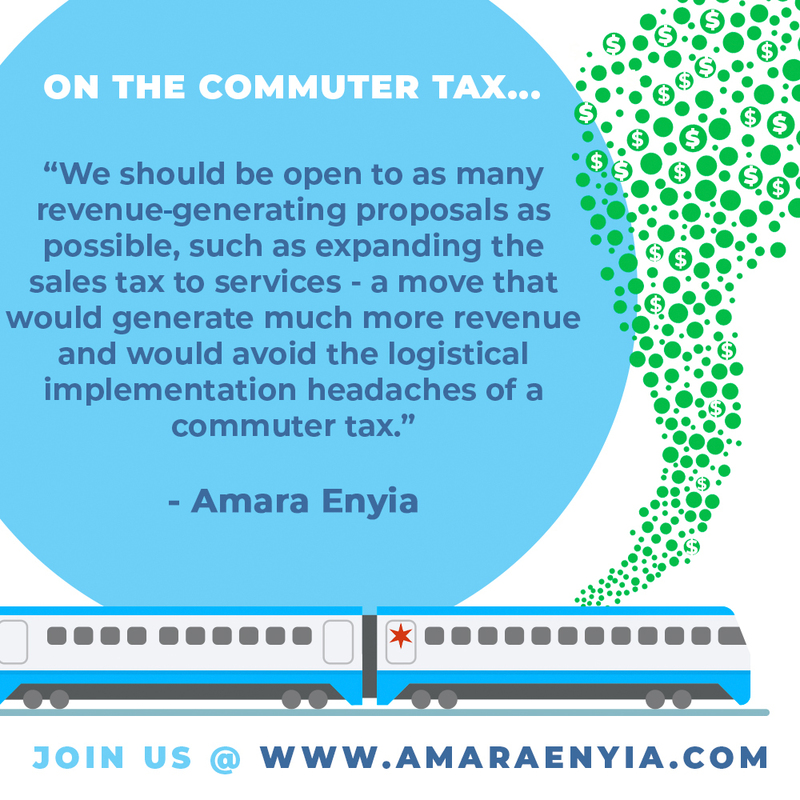 While a commuter tax is one idea to generate revenue, it would not be at the top of my list of proposals.